Sweetish savoury mixed vegetable sambar with coconut, jaggery and spices, Udupi Style Sambar can be served along with Idlis, Dosas or even with Steamed Rice and Poriyal.The use of freshly roasted and ground masala and jaggery makes this sambar extremely flavourful. 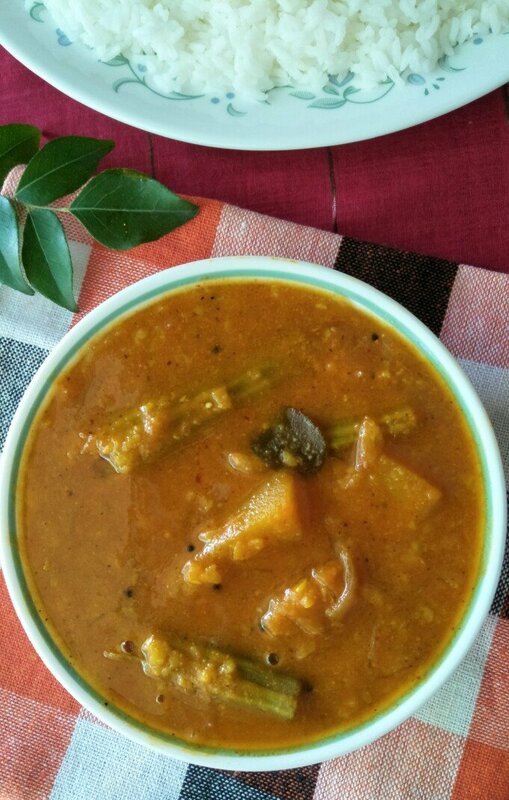 Sambar/Sambhar is a lentil based vegetable stew with a tamarind broth. 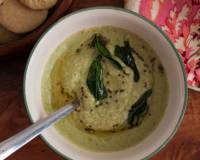 It is popular in South Indian cuisine. 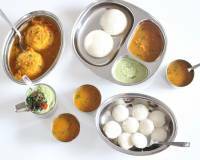 It is a common dish served in the Udupi Style Restaurants along with Idli/Dosas. 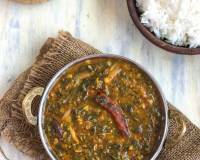 'Masala Huli' has vegetables, dal and coconut, which is a delicious combination on its own. Udupi food uses a lot of jaggery and this Sambar too is a bit on the sweeter side. 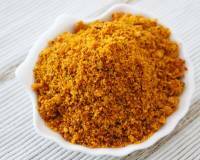 You can add less jaggery if you desire.The use of freshly roasted and ground masala and jaggery makes this sambar extremely flavourful. Did you know ? Drumstick pods helps to build strong bones, it is very good for pregnant women also. Drumstick pods which are known as moringa in local language is rich in calcium, Iron and vitamins. They are also have properties such purifying the blood, improves digestion and protects against infection. 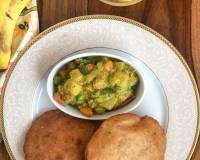 Serve Udupi Style Sambar Recipe - Masala Huli With Mixed Vegetables along with Homemade Soft Idli Recipe and Red Chilli Coconut Chutney Recipe (South Indian Chutney) for breakfast. 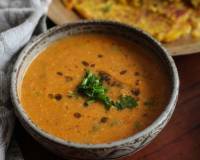 To begin making Udupi Style Sambar Recipe-Masala Huli With Mixed Vegetables, firstly soak the toor dal in sufficient water for about an hour and a half. At the time of cooking, wash the dal thoroughly and drain. Add dal, a pinch of asafoetida, turmeric powder and 1 1 1/2 cups water to the dal and pressure cook till done. (about 2 whistles will do), allow the pressure to release naturally. 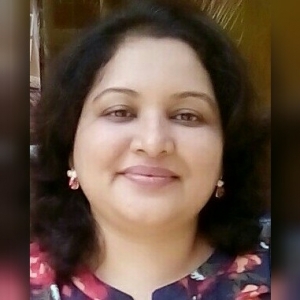 Heat about a teaspoon of oil in a heavy bottoemed pan and roast the ingredients given for the masala including coriander seeds, cumin seeds, fenugreek seeds, chana dal, white urad dal, bydagi red chillies, curry leaves except the coconut till they change little colour. This will take about a minute and keep it aside to cool. Grind them together with the coconut using sufficient water to get a smooth paste. 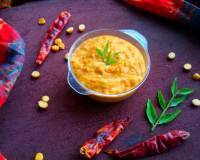 Heat oil in a heavy bottomed pan and add mustard seeds, fenugreek seeds, urad dal, red chillies broken into pieces, asafoetida and curry leaves. Allow them to sizzle for few seconds. Add sliced onions and cook for a minute. Add the turmeric powder and saute. When onions turn translucent, add peeled drumsticks and add 1 cup water for them to cook by covering it with a lid for 15 minutes. Add the pumpkin pieces, red chilli powder and cook further 15 more minutes. When all vegetables are cooked, add the tomato cubes and cook for a while till tomatoes are cooked well. Meanwhile, mash the cooked dal in pressure cooker. Add tamarind paste, salt, jaggery and the ground masala to the cooked vegetables. Add the mashed dal and water if required to adjust the consistency. Mix well and bring Masala Huli to a boil. Adjust salt and jaggery if needed. 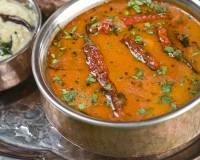 Reduce flame and simmer the Udupi sambar for few minutes for other ingredients to cook completely. Once done, switch off the stove and it is ready to be served.